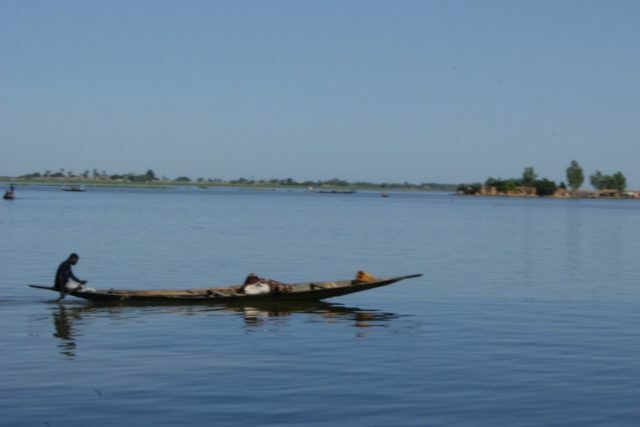 Almost every one of us has heard about the River Niger because of its popularity. 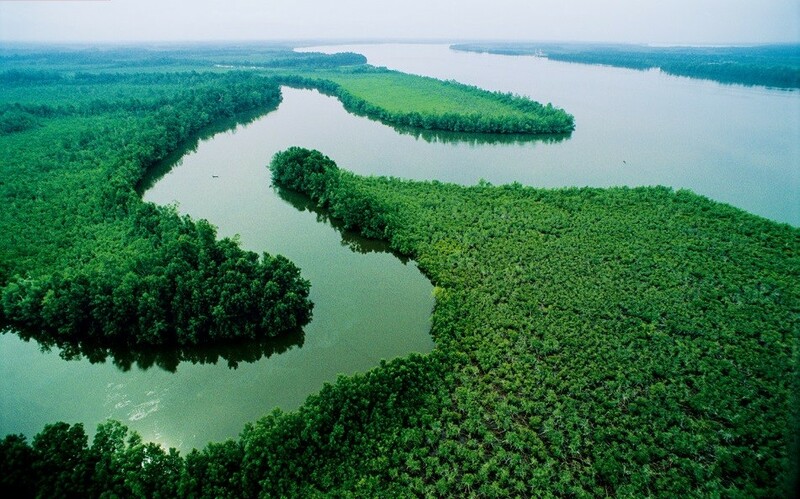 It is the principal and longest River in West Africa, and the third longest in the whole of Africa, extending about 4,180 km (approximately 2,600 mi). Knowledge of the possible existence of the river Niger first came in the 18 century, though with unfounded and unconfirmed information. Many European expeditions to plot the river were unsuccessful. In 1788 the African Association was formed in England to promote the exploration of Africa in the hopes of locating the Niger, and in June 1796 the Scottish explorer Mungo Park was the first European to lay eyes on the middle portion of the river since antiquity (and perhaps ever). The true course was established in his book Travels in the Interior of Africa, which appeared in 179. Niger River runs in a crescent through Mali, Niger, on the border with Benin and then through Nigeria, discharging through a massive delta, known as the Niger Delta or the Oil Rivers, into the Gulf of Guinea in the Atlantic Ocean. The river flows from the Guinea Highlands located in southeastern Guinea. Its major tributary is the Benue River which is itself 1400 km long. The Niger discharges into the Atlantic Ocean at an area known as the Gulf of Guinea. Other ones include the Sirba river, Tinkisso River, Milo River, Niandan River, Sankarani River, Bani River, Mekrou River, Sokoto River, Kaduna River, Benue River, Forcados River, and the Nun River. The Niger River is 2597 miles long. Making it the longest in West Africa, third longest in Africa (with only the Nile and Congo Rivers longer), and fourteenth longest in the world. Unique Characteristics: The Niger has one of the most unusual routes of any of the major rivers in the world. It is said to be unusual because the river rises not far from the Atlantic Ocean, about 240 km, and instead of flowing to the nearby Atlantic Ocean, it takes a northeasterly course toward the Sahara Desert, before turning southeast to eventually discharge to the Atlantic in Nigeria. This strange geography apparently came about because the Niger River is two ancient rivers joined together. The upper Niger, from the source west of Timbuktu to the bend in the current river near Timbuktu, once emptied into a now dry lake to the northeast of Timbuktu, while the lower Niger started to the south of Timbuktu and flowed south into the Gulf of Guinea. Over time upstream erosion by the lower Niger resulted in stream capture of the upper Niger by the lower Niger. Aquatics: The river has thirty six families of freshwater fish and nearly 250 species, 20 of which are found nowhere else on Earth but the Niger. The chief food species are catfish, carp, and Nile perch. Other Niger fauna include hippopotamuses, at least three different types of crocodiles (including the much-feared Nile crocodile), and a variety of lizards. The West African manatee, which faces extinction, lives in the river. These mammals can grow up to fifteen feet long and can weigh nearly eight hundred pounds. The most dreaded African Lion is also found here. Nature of Water: The Niger river is clean. It is relatively “clear”, carrying only a tenth as much sediment as the Nile because the Niger’s headwaters lie in ancient rocks that provide little silt. Like the Nile, the Niger floods yearly; this begins in September, peaks in November, and finishes by May. The Kainji Dam: Kainji Dam is a dam across the Niger River in Niger State of western Nigeria. Construction of the dam was carried out by Impregilo (a consortium of Italian Civil Engineering Contractors) to designs by Joint Consultants, Balfour Beatty and Nedeco, and began in 1964 to be completed in 1968. Niger Bridge: The popular Niger Bridge is built across the Niger river, connecting Western Nigeria with South-eastern Nigeria. On October 24, 1946 three Frenchmen, Jean Sauvy, Pierre Ponty and moviemaker Jean Rouch, former civil servants in the African French colonies, set out to travel the entire length of the river, as no one else seemed to have done it previously. They travelled from the very beginning of the river near Kissidougou in Guinea, walking at first till a raftcould be used, then changing to various local crafts as the river broadened and changed. Two of them reached the ocean on March 25, 1947, with Pierre Ponty having had to leave the expedition at Niamey, somewhat past the halfway mark. In September 2009, the Nigerian government commenced a 36 billion naira dredging of the Niger River from Baro to Warri, a move which will see silt removed from several hundred miles. The dredging is intended to make it easier for goods to be transported to isolated settlements located deep within from the Atlantic Ocean.